Classic J-tail Godzilla! 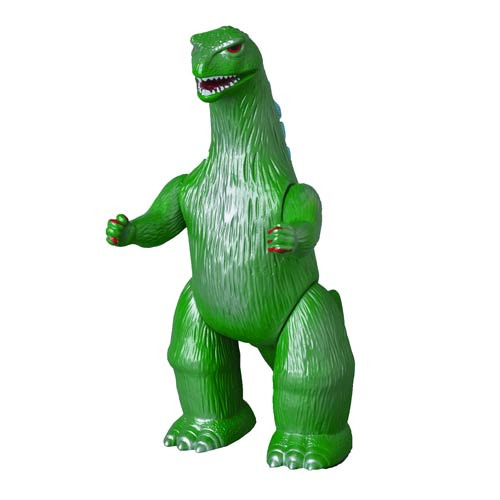 From Bullmark, M1Go, and Medicom Toy comes this Godzilla Vinyl Wars Bullmark Type Godzilla J-Tail Version Sofubi Vinyl Figure. Bullmark's Godzilla design has been familiar to kaiju fans for over 50 years as a definitive edition. M1Go now reissues this design, originally released in 2001, in a brighter green skin deco with white belly and highlights. This re-release is available in a limited edition of only 200 pieces! Stands 5 1/2-inches tall. Ages 15 and up.